Kilrush travelled to Cooraclare last Sunday and came away crowned minor champions for 2009. Kilrush were the better team on the day, closing down Liscannor all over the pitch, with aggression and will to win. Shauna Coughlan opened with a point from a free in the fifth minute and this was followed three minutes later with a great goal from Aoife Clancy, after good work from Claire Pender Jenny Ryan and Coughlan. Shauna O’Brien added another point from play to leave Kilrush five points ahead. At this stage Aoife Griffin was in command in front of her goals for Kilrush. 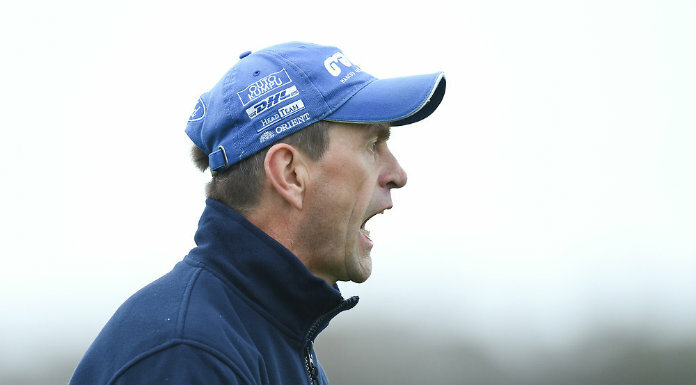 Every Liscannor attack was broken up and, if not for Aoife Shannon in the Liscannor goals, Kilrush would have been at least another two goals ahead. Liscannor were awarded a free close to the goal, which Aishling Torpey sent to the top corner of the Kilrush net, to put two points between the sides. Kilrush hit back when Shauna O’Brien goal after good work from Megan Nolan, Maria Murphy and Áine Browne. The winners added two further points from Shauna Coughlan and Áine Browne to leave them 2-4 to 1-0 up at the interval. Liscannor had the first attack of the second half but it was broken up by the Kilrush defence. Rebecca McInerney sent in a high ball across the goal, which found Áine Browne who kicked a point for Kilrush against the run of play. Liscannor hit back with a good goal from Fiona Considine. Shauna Coughlin pulled a goal back for Kilrush after good work from Imelda Moloney, who moved to midfield with Maria Murphy going to full-forward. Maria Murphy found the Liscannor net again 13 minutes from full-time. But Liscannor hit back with a good goal scored by Áine Burke. That was to be Liscannor last score as there was no way through the Kilrush defence or midfield. 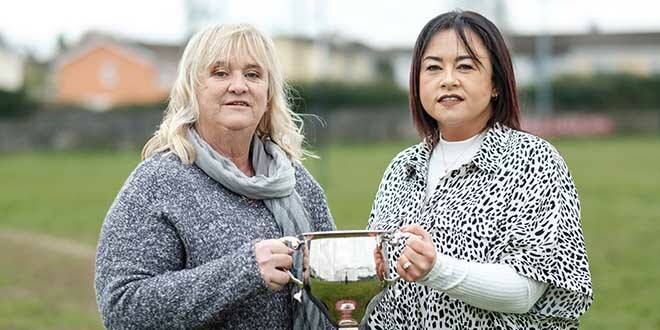 Shauna O’Brien added a point for Kilrush with eight minutes left and Maria Murphy sealed victory with a late goal from play. Player of the match Aoife Clancy was assisted by Megan Nolan, Jenny Ryan, Aoife Griffin and Mary Williams, while Aoife Shannon, Roisin Rouine, Áine Burke and Aisling Torpey played well for Liscannor. Kilrush: Nicole Lernihan, Mary Williams, Aoife Griffin, Maria Tarrant; Elizabeth Murphy, Claire Pender, Megan Nolan; Jenny Ryan and Maria Murphy; Erin Gilligan, Shauna Coughlan (captain), Aoife Clancy, Shauna O’Brien, Imelda Moloney, Áine Browne. Subs: Rebecca McInerney, Elise Carroll, Christina Foley-Ellis and Aisling Crowe. Liscannor: Aoife Shannon, Elaine Kearney, Roisin Rouine, Therese Shannon; Sinead Considine, Niamh Murray, Megan O’Donnell; Martina Scales and Doireann Hanrahan; Áine Burke, Aisling Torpey, Rebecca O’Regan, Roisin Considine, Fiona Considine, Carol Nagle. Subs used: Emer Hillery, Clionadh Considine, Sharon Roche.